Charlotte Henley is a speaker, author, trainer, and a former college professor. Her areas of expertise are wellness, team building, leadership, group facilitation, active living, and active learning. 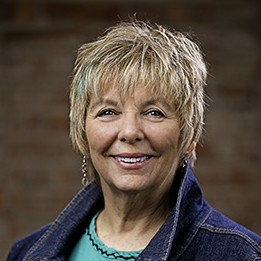 Several themes weave through all of her work; they are; positivity in the home and workplace, and the importance of human connections to expand self-awareness. Charlotte loves working with not-for-profit and membership-based organizations that are eager to open doors to fresh ideas. She is a True Colors Certified Facilitator, Certified Wellness Coach, and is trained in the Spirit and Science of Holistic Health, Open Space Technology, and Appreciative Inquiry. Charlotte is engaging and entertaining. She will deliver a meaningful message with practical applications to everyday living. Perhaps the most relevant asset of Charlotte’s is her ability to question the status quo, and presenting information in innovative ways setting her apart from others. Get connected and get inspired with Charlotte. She will customize her presentation to represent your confrence theme and goals. Find out more about Charlotte Henley at http://www.charlottehenley.xyz.